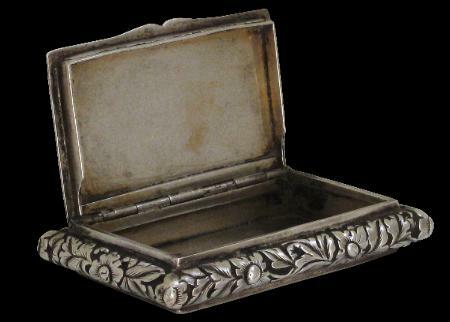 This slender snuff box is surprisingly solid and heavy in the hand; it has the feel and look of a high quality piece. It is unmarked but is very similar in form and motif to one illustrated in Forbes (1985, p. 235), now in the Yale University Art Gallery and which is signed Leeching. 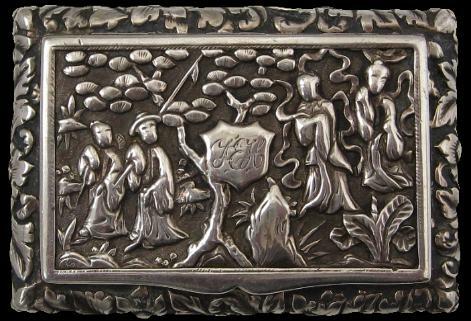 The example here has a typically Chinese scene with four figures among trees and foliage on the cover, along with an armorial cartouche that is engraved with the letters FEH. The back is deeply chased with scrolling peonies amid foliage. 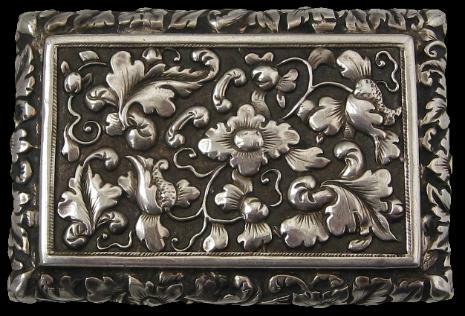 The sides are deeply decorated with a flower and leaf design. 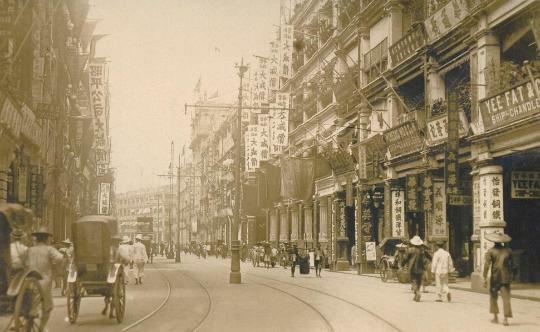 Forbes, H.A.C. et al, Chinese Export Silver 1785-1885, Museum of the American China Trade, 1975; and Kernan, J.D., The Chait Collection of Chinese Export Silver, Ralph M. Chait Galleries, 1985.